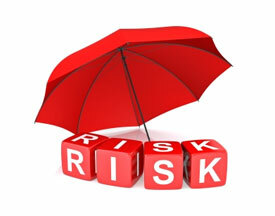 The insurance provides coverage worldwide. However, it does not cover you in your home country. When does the Emergency Room (ER) co-payment apply? In case of treatment in an emergency room which could have taken place in an out-patient facility, the reimbursement shall be reduced by a co-payment of EUR 200. This means for a non-emergency treatment (e.g. in case of a flu, a bad stomach etc.) you should visit an out-patient facility like a doctor’s office or a walk-in clinic and not an ER. The co-payment of EUR 200 does not apply for ER visits in case of emergency or if you are hospitalized. What do I do if I am admitted to a hospital? You are required to contact the our Emergency Service within 24 hours in the event of hospitalization. The emergency service will provide the hospital with a guarantee of payment and will settle the bills directly. A pre-existing medical condition is covered only if it has been stable for at least 6 months prior to departure from your home country. If you submit a claim please make sure that you include proper documentation from a physician stating that the condition was not present 6 months prior to the start of the policy. Why is the ID Card so important? Your insurance ID Card summarizes all necessary information you need if you have to go to a doctor or a hospital. Here you find the emergency phone numbers for a hospitalization and for out-patient treatment (e.g. doctor’s office, walk-in clinic etc. ), as well as a claims address and necessary information for the physician (e.g. co-payments). You always have to bring your ID Card for any medical treatment you might need. When calling the emergency hotline the following information will be requested: the Customer Number (listed on top of the ID Card), the name of the organization you are traveling with, your name and your date of birth. Medicine prescribed by a physician is covered. For reimbursement please send the original prescription, the receipt and a short documentation from the doctor stating that the medicine is necessary for your treatment. When do I need to fill out a claim form? If you are in the US and your claim is settled directly with the physician through UnitedHealthcare there is no need for you to fill out a claim form. If you are outside the US, you will need to pay and then send to us a claim form with the original receipts for reimbursement. When does the co-payment apply? If your health insurance policy includes a co-payment it applies for outpatient treatments and has to be paid once per accident or illness. Your physician will collect the co-payment directly at your first visit. It does not apply in case of hospitalization. Can I extend my coverage if I decide to stay abroad for a longer period? Yes, you can extend your coverage if you decide to stay abroad for longer than planned. Please fill in the insurance form for required additional dates. You will be asked to pay an additional premium for the extra days. Please note that any illness or injury which has come into existence, or has shown symptoms, or has been diagnosed in the previous insurance period shall not be covered in the extended insurance period. All acute illness and injury sustained during the trip abroad is covered. A pre-existing medical condition is covered only if it has been stable for at least 6 months prior to the effective date of this insurance. If you submit a claim please make sure that you include proper documentation from a physician stating that the condition was not present 6 months prior to the start of the policy. In case of out-patient treatment at a doctor or a specialist you will have a co-payment, which you will have to pay yourself, in the amount listed in the medical coverage overview. This only applies if your medical insurance plan has an outpatient co-payment included. Charges incurred for the use of the Emergency Room for treatment of an illness are subject to an additional co-payment in the amount of USD 250, if treatment does not require admittance to the hospital. Injury due to an accident: Your insurance plan covers the cost of emergency dental treatment and dental procedures necessary to restore sound natural teeth lost or damaged in an accident up to the amount of USD 500 / EUR 350 (in case the accident exclusively involves dental treatment). In case of Major medical injuries that also affect teeth, your insurance plan covers the costs up to the policy limit. Sudden dental pain: Your insurance plan will pay up to USD 200 / EUR 140 (limited to 3 x per Period of Insurance) for the necessary treatment of sudden, unexpected pain to sound natural teeth. Your insurance plan includes coverage for Emergency Medical evacuation to the nearest qualified medical facility; expenses for reasonable travel and accommodations resulting from the evacuation; and the cost of returning to either the home country or the country where the evacuation occurred, up to the policy limit. Your insurance plan provides emergency reunion coverage, up to USD 15,000 / EUR 10.500, for the reasonable travel and lodging expenses of a relative or friend during an Emergency Medical Evacuation: either the cost of accompanying the insured during the evacuation or traveling from the home country to be reunited with the insured. I need to go to the doctor. What should I do? Present your IMG insurance ID card to the doctor’s office when you first visit. The doctor’s office should contact IMG to verify benefits. What are the advantages of using the PPO? When using a PPO provider, the provider directly bills IMG and IMG pays the provider promptly. This means you do not have to pay upfront with your own money to cover the cost of treatment, however, you will be responsible for any deductible or coinsurance. What happens if the provider bills me before IMG pays the bill? Providers generally send copies of bills to the insurance companies and to the patient. If you receive a bill after treatment from a PPO provider, please contact IMG. Chances are, the provider sent the bill to IMG and the bill will be paid shortly. Help us to avoid duplicate payments by allowing IMG to make payments to providers on your behalf. If you receive a bill from a non-PPO provider, submit the bill to IMG with a completed claim form. Assuming you have met your deductible and coinsurance, and the medical expenses are eligible, IMG will pay directly to the provider. Please make sure that you always call the Service Center for Pre-Certification prior to treatment.